Above, Damien Taylor is focused as he practices a kicking form during a Training Session at Taekwondowon in Muju, South Korea - the global home of Taekwondo, in June 2017. BRIDGETOWN, Barbados - The Taekwondo Association of Barbados was shaken to learn of Damien Taylor's sudden passing on Friday 29 December 2017. He was passionate for Taekwondo; fun-loving, and always had a way of delivering a fun conversation and making us smile. Taylor touched our hearts and was a fixture at several of the Association's ﻿events over the past thirteen years﻿. He was awarded his Black Belt in 2005 when he was also training with the Barbados National Team. He would later become the first person to compete for Barbados at the World Taekwondo Championships for adults in 2017. He was also the first Internationally-ranked athlete representing Barbados and established a mark of 211th in the World. As a multi-talented person, he touched so many and was connected to various groups past and present - whether through Music, as a DJ, an artist, within the Entertainment industry, or even as a student. Only this 2017 year he had graduated from the University of the West Indies with his Bachelor of Laws Degree and commenced pursuit of his Legal Education Certificate to practice as an Attorney. This pursuit recently took him to Trinidad, where he ensured he found a suitable Dojang to maintain his Training whilst broadening his exposure, and kept regular contact with the TAB Leadership. He had also provided much valued input as a member of the Taekwondo Association's Constitution Review Committee. He was never short of ideas, and shared many of the things he wanted to see happen to help the Association grow, and also provided multiple ideas for member-engagement. He was popular and even on social media, and was instrumental in driving some of the early traffic and attention under TAB's social media efforts in 2017. With heavy hearts we must face the difficult reality that our friend and colleague is no longer with us. He made us proud; he made us smile; he made us laugh. Taylor will be missed and always remembered. Our love and thoughts go out to the Taylor family, his loved ones, and all who he touched. 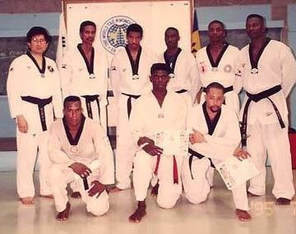 The Taekwondo Association of Barbados. New Constitution Adopted and Effected for Taekwondo Association of Barbados! BRIDGETOWN, Barbados - After several months, multiple lengthy meetings, rigorous discussions, tedious editing and repeated review, the proposed new Constitution of the Taekwondo Association of Barbados was adopted and effected at the Special General Meeting held on 22 December 2017. Kudos goes to the President for driving this important effort to completion with the strong efforts of the Constitution Review Committee, along with inputs from the Executive Council and Club Heads in the latter stages. 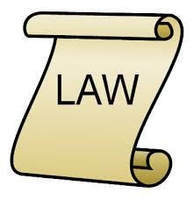 A copy of the document may be seen and obtained by logging into the Members' Zone and/ or making contact with the Secretariat. Our Walkers were met at the end opposite Pebbles Beach by a few "late-risers" who missed the start but greeted them at the end. 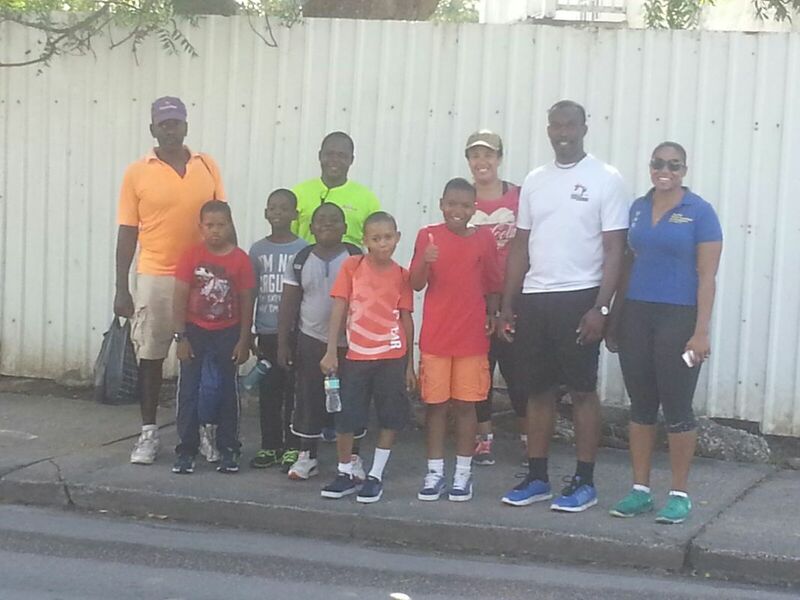 BRIDGETOWN, Barbados - Only a small crowd made it out in the early morning and pending rain for the TAB Sponsored Walk held 2 December 2017. The Walk started from the Sir Garfield Sobers Sports Complex in Wildey and ended at Pebbles Beach on the South Coast - a distance which approximated 5 kilometres. A special thank you goes out to those sponsors who gave their support for the event, as well as the walkers - who saw representation from Williams Taekwondo Dojang, Challengers Taekwondo and Burnett Taekwondo. The event was geared toward raising funds to secure some very much needed equipment for development of our athletes and our Sport. To consider, and if thought advisable adopt the new proposed Constitution of the Taekwondo Association of Barbados further to the mandate given at the June 2017 Annual General Meeting. Presentation of 2017 Taekwondo Association of Barbados Awards. Bridgetown, BARBADOS - The National Association today concluded a Referee Certification Course. The course was led by Barbados' first two PATU Certified International Referees (Kenneth Harewood and Ogeji Dottin) who returned to the island last month. 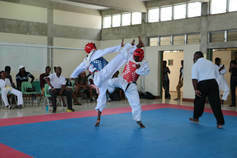 Participation was had from club representatives of Barbados Taekwondo Titans; Burnett Taekwondo Academy; Boardbreakers Taekwondo; Challenger Taekwondo Academy; UWI Taekwondo and ﻿Williams Taekwondo Dojang﻿. The sharing of technical information will go a long way in continuing development of the National Association and facilitate development of the support teams at Club and National events during 2018 and beyond. Members of the National Team which recently returned from the 2017 WT President's Cup in Nevada, USA were visited by a team from the Caribbean Broadcasting Corporation [CBC] who subsequently broadcast coverage for us on National Television. This was another pleasing outcome in our efforts to raise the profile of Taekwondo in Barbados. The CBC station also broadcasts internationally outside of Barbados. Our achievements we were also captured in the Loop News online along with another local print media House. 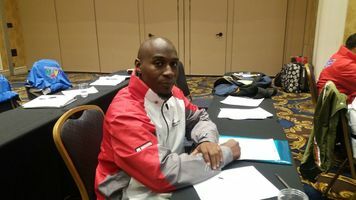 Barbados' Mr. Ogeji Dottin, (Programme Director of Challenger Taekwondo Academy) during a session for the PATU International Referee Certification Course in Las Vegas, Nevada, USA. 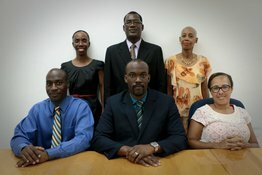 Barbados now has Two International Referees! 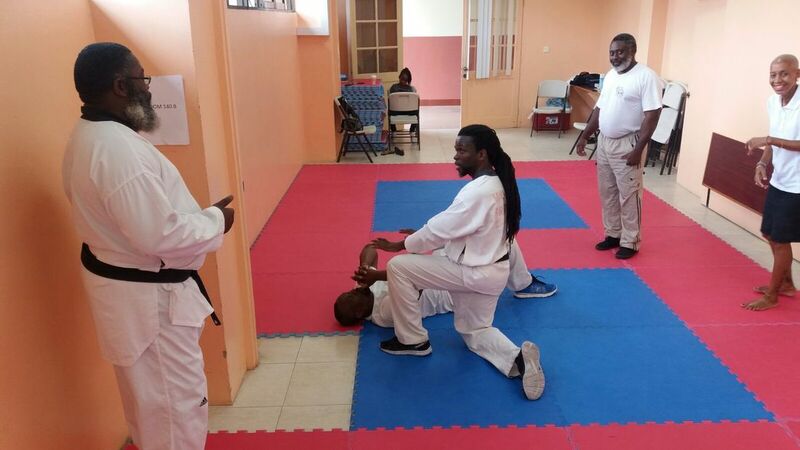 BRIDGETOWN, Barbados - Mr. Ogeji Dottin (left) and Mr. Kenneth Harewood (right) have been certified as International Referees by the Pan Am Taekwondo Union [PATU]. These two Instructors have further made a mark for Barbados with their new certifications, and measurably demonstrated some advancement and progress in the development of our Sport locally. They have also been certified as G-event Coaches for all World Taekwondo-sanctioned events. These are wonderful achievements for Taekwondo Barbados! 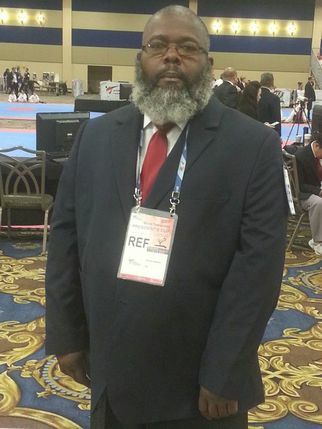 Barbados' Mr. Kenneth Harewood, (Chief Instructor of Boardbreakers Taekwondo) on duty as International Referee during 2017 WT President's Cup in Las Vegas, Nevada, USA. 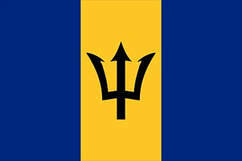 The Barbados Team returned home after a successful outing at the President's Cup in Las Vegas. 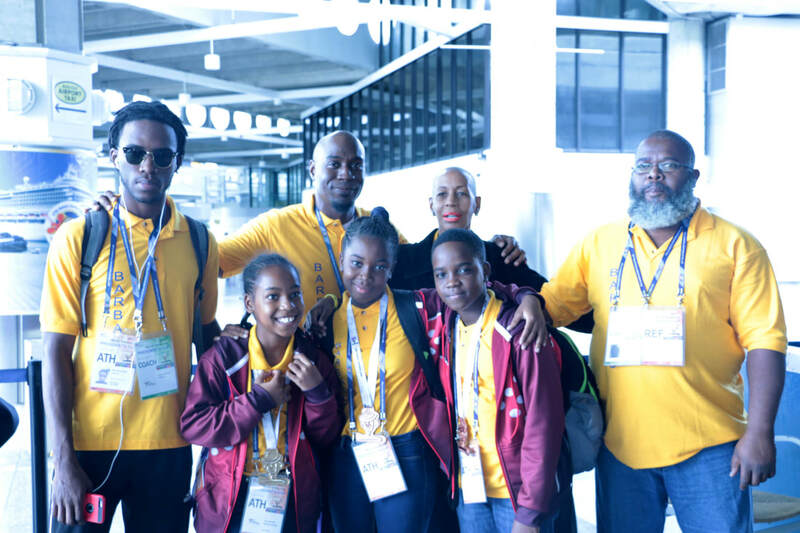 BRIDGETOWN, Barbados - The Barbados Team returned to Barbados on Tuesday morning after a successful mission to Las Vegas for the 2017 WT President's Cup with multiple medals. All three Juniors returned home with medals - one (1) Gold for Liana Best-Smith and two (2) Bronze medals for Alisha Green and Jaden Green. Our Senior Black Belt Darren Carter, performed creditably when he was matched up against the 4th ranked player in the Pan American region (who is also ranked 19th in the World). We salute the Coaches and Management of the Team for the good work. This was Barbados' first competitive participation at the PATU level for several years. President Turton (blue shirt) sees the Team off at the Grantley Adams International Airport. 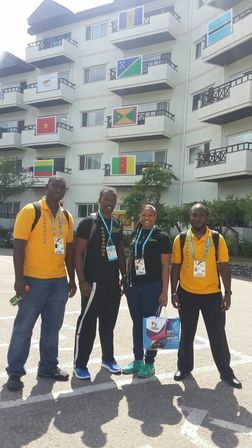 Standing L-R is Mr. Ken Harewood (Coach), Mr. Ogeji Dottin (Team Manager/ Head Coach), Mr. Darren Carter (Athlete), Ms. Renee Best (Asst. Team Manager), Ms. Alisha Green, Mr. Jaden Green and Ms. Liana Best-Smith (Athletes). 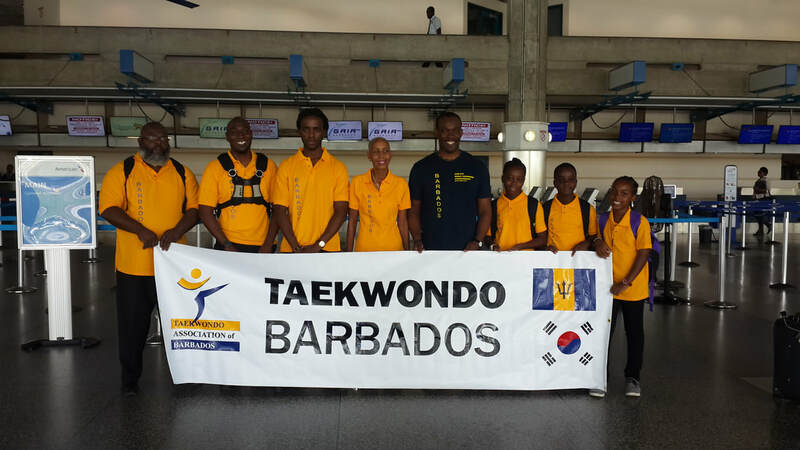 BRIDGETOWN, Barbados - Members of the Taekwondo Association of Barbados left Barbados on Sunday 1 October 2017 to participate in the events at the 2017 WT President's Cup in Las Vegas Nevada, USA. The seven-person contingent will return on 10 October 2017. Participation in these events will be a significant step for progressing the development of Taekwondo Barbados - and will see our first competitive representation at the level of the Pan American region for some time. Join us in wishing them all the best! Follow the team's progress on our facebook page. 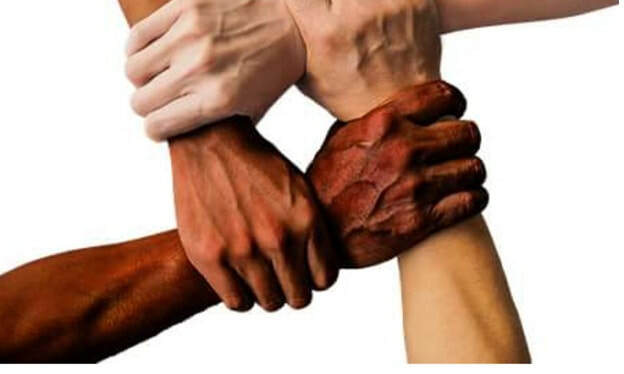 BRIDGETOWN, Barbados - The Taekwondo Association of Barbados has pledged to raise awareness about and promote the WT and THF humanitarian activities to all members of our National Association. "THE THF EMPOWERS REFUGEES AND DISPLACED PERSONS WORLDWIDE BY TRAINING THEM IN THE SPORT AND MARTIAL ART OF TAEKWONDO"
The THF launched an Online Signature Campaign to demonstrate that the Taekwondo Family stands out as a socially responsible and caring international community, viewing Taekwondo not only as a physical activity but also a comprehensive life philosophy. BRIDGETOWN, Barbados (6 September 2017) - The Taekwondo Association of Barbados send our thoughts and prayers to all our Caribbean brothers and sisters who have felt the devastating effects of Hurricane Irma as it passed through the Northern parts of our region. Above, President Turton makes the representation as Secretary General of the BOA - Mr. Erskine Simmons looks on. 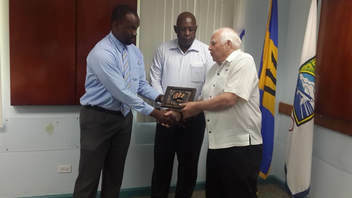 BRIDGETOWN, Barbados (22 August 2017) - On Tuesday, 22 August 2017 at the Barbados Olympic Association's meeting with National Federations, BOA President, Mr. Steve Stoute was presented with a gift from the President of the Taekwondo Association of Barbados, Mr. Henderson Turton, to acknowledge appreciation for the efforts made to assist Taekwondo. Mr. Mark E.L. Phillips (2nd right) stands in 1995 with Taekwondo Barbados Master Instructors and Grand Master Ken Cheung (of Canada). BRIDGETOWN, Barbados (5 August 2017) - The Taekwondo Association of Barbados is deeply saddened to learn of the passing of one of its early stalwarts on Saturday. Mr. Mark Phillips was a Taekwondo Instructor of the former CBP Taekwondo Club, which he formed with Mr. Andre Bryan and Mr Sean Chadderton. In 1994 Mr. Mark Phillips earned his National Black Belt under his Instructor Mr. Chadderton - who himself was a student of Mr. Richard Francis - the Father of Taekwondo in Barbados. We extend our condolences to his family and friends. May he rest in peace. BRIDGETOWN, BARBADOS (29 July 2017) - Exciting, high-calibre, highly-competitive, pleasing, inspiring, refreshing... These were but few of the words used to describe the 2017 National Championships held on Saturday at the Sciences Auditorium of the Barbados Community College. Thank you and congratulations to all Participants, Medal Winners, Officials, Organizers, Volunteers and Supporters on a successful showing! Barbados' First Internationally-ranked Taekwondo Athlete! BRIDGETOWN - Congratulations go out to ﻿Damien Taylor and Team Barbados! 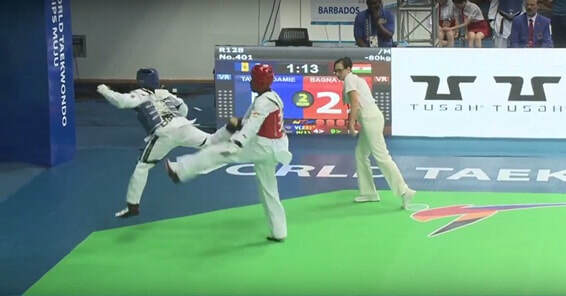 Following a respectable showing at the 23rd World Championships in Korea in the Men's under 80kg category, Mr. Taylor was ranked 211th in the World based on the July 2017 rankings released by World Taekwondo. He also now holds an Olympic ranking of 368th. Mr. Taylor has now placed Barbados in the top third globally in his category. 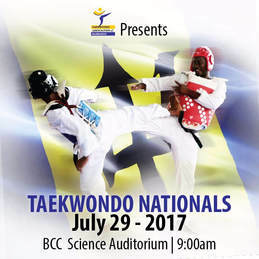 The Taekwondo Association of Barbados PRESENTS......2017 National Championships on July 29 at 9 am at Barbados Community College's Science Auditorium. All ages, ranks and registered clubs are welcome to participate. Entrance Fee: Adults $15.00; Children $10.00; under 5Yrs are FREE! 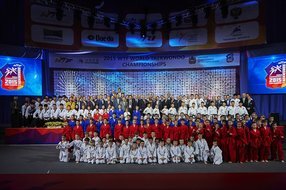 Barbados is Participating for the first time ever at the 23rd WTF World Taekwondo Championships Muju, Korea 24-30 June 2017. MUJU, South Korea - The country will be represented on this historic occasion by Mr. Damien Taylor - competing in the Men's under - 80kg category. Mr. Askia Alleyne will serve as Coach and Mr. Henderson Turton as Team Manager. 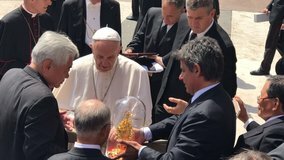 VATICAN CITY (May 11, 2017) – There are moments when you are utterly thrilled: Rejoicing at a result, at the winning of a medal or at some other historic success that will remain forever in your memory. This was a moment like that. TAB Hosted an exciting Tournament last Saturday 13 May 2017 at the Auditorium of the Springer Memorial Secondary School. Participants ranged in ages from 7 years old to Adult, competing in categories for beginners and Advanced. A good time was had by all. Congratulations to all participants, officials, organisers and medal winners for a job well done! Notice is given that the Taekwondo Association of Barbados will be hosting its Annual General Meeting [AGM] on Friday 2 June 2017, 6pm at the Barbados Olympic Association’s Headquarters in Wildey. If your membership information is not current please contact your Club Head and the Secretariat - info@taekwondobarbados.org. 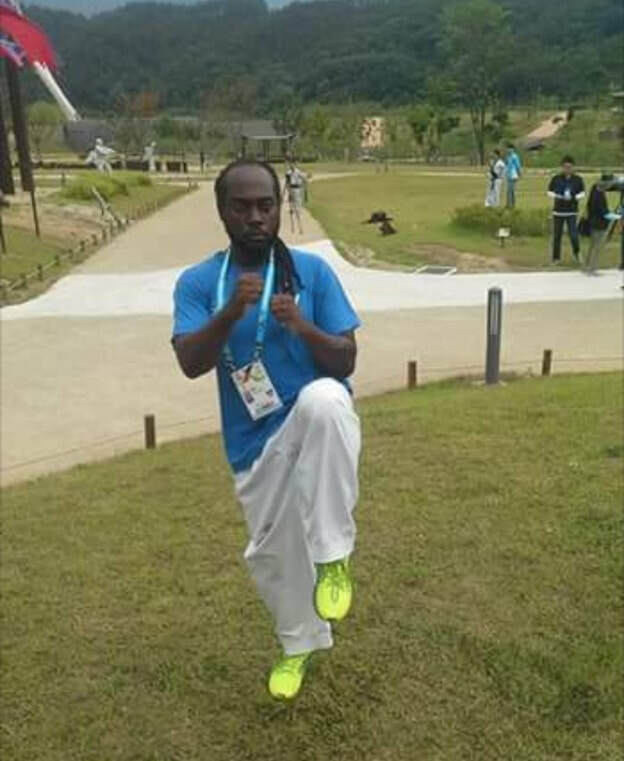 The Barbados Member National Association (MNA) President, Mr. Henderson Turton, has been included in the official list of candidates contesting 12 positions for Council Members of the World Taekwondo Federation (WTF) at its upcoming General Assembly and Elections in Muju, South Korea in June. Mr. Turton is one of six candidates contesting the three available spots allocated for representation of the PATU Region. His election can be a tremendous opportunity for Barbados and the English-speaking Caribbean.